Missing Teeth? No need to despair. A missing tooth, especially at the front of your mouth used to spell despair, but thankfully not any more. Today’s much improved restorative dental treatment means that there are now so many options available that no one needs to be embarrassed by a toothy gap any more and as one of the North West’s leading restorative dental treatment specialists Carisbrook can quickly have you smiling with confidence again in no time. Dentures? Bridges? Implants? They are all possible options that you can consider and with the excellent improvements made over recent years, no matter which you go for we know that you will be more than impressed – and delighted – with the outcome. We have to say though, that as the leading restorative dental treatment specialists, our restorative dentistry service begins not with a solution … but with an investigation. Before we make any recommendations as to which restorative dental treatment will be the most appropriate, we first of all establish the cause of why you may have a missing tooth or teeth. If it was the result of an accident, an injury or an assault for example, then we can quickly discuss the best way to restore your smile. If the missing tooth or teeth was caused by tooth decay or gum disease then our first course of action is to investigate why. Was it a result of a poor diet? Could it be caused by inadequate dental hygiene? Whatever it was we will determine the cause and take whatever action is necessary to resolve it. This could involve some treatment or it could simply be a case of offering good dental advice. 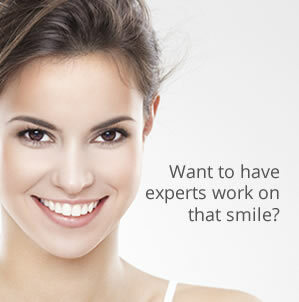 Whatever it is we will help to ensure that you do not suffer further tooth loss. One course of action is to do nothing … and live with the unsightly gap. Far more sensible is to choose the most appropriate restorative dental treatment. Dentures. They may be viewed as the traditional remedy for missing teeth, but today’s dentures have come a long way over recent years. At Carisbrook we can provide dentures that are custom-made to match the shape and shade of your natural teeth exactly, but they are now far more retentive and stable than they ever were before. Embarrassing social and dining experiences are rapidly becoming a problem of the past. Bridges. If you are missing more than one adjacent tooth then a bridge could well be the ideal way to restore your smile. We make a bespoke denture to fill the gap and then fix this by using crowns on your teeth on either side of the gap. Even with bridges there are still a number of options we can discuss with you to determine exactly which is the preferred solution. Dental Implants. These are probably the next best thing to having your natural teeth because dental implants are fitted directly into your gum – just like natural teeth. Carisbrook is widely recognised as the country’s top dental implant specialist and today there are around 100 dental practices across the UK that refer their patients to us for this treatment. Unlike dentures or bridges, dental implants are a permanent fixed solution that look as natural and are as firm as your original teeth. No one but yourself will ever know that they are not real! If you are suffering from a missing tooth or teeth, then now is an ideal time to make contact with Carisbrook. We are currently making a 10% OFF IMPLANT TREATMENT OFFER. There is also a HALF PRICE DENTAL IMPLANT CONSULTATION. So why wait? You can call us on 0161 951 7295 or alternatively you can contact us by using the online form on our Appointments page.